Águilas is located on the southern coast of the Region of Murcia, and is the most south-westernly municipality of the Costa Cálida. 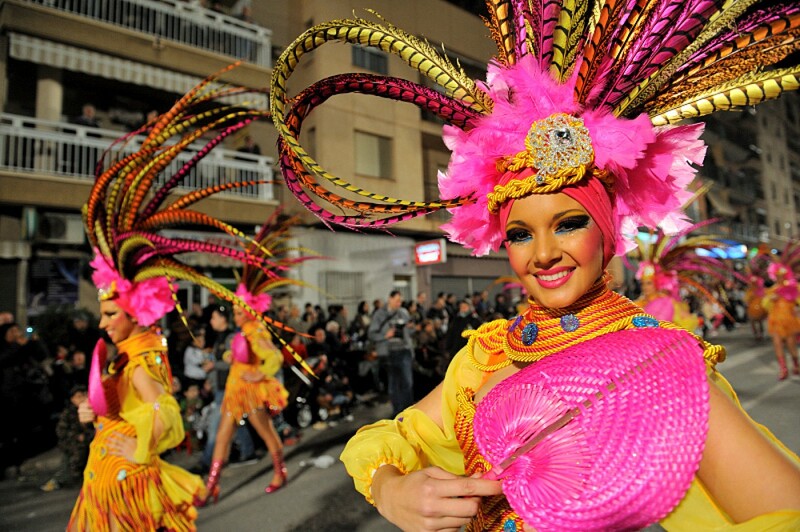 It borders with Almería on the Region of Andalucía, and is a busy town with an important summer tourist industry. Águilas boasts 28 kilometres of coastline, with a wide range of beaches attracting a substantial number of visitors during the summer months. It is also renowned for its flamboyant spring Carnival and its warm climate, allied with an interesting range of places to visit, ensures that is remains buzzing throughout the year. The tourist information office is able to provide leaflets and maps, as well as help to attange visits for groups and individuals. Throughout the year it also has a number of museums and historical attractions, a castle with fabulous views overlooking the bay and several other points of interest, all of which make it an good place to visit for days out. Throughout the year the tourist office runs monthly guided tours and the route of the railways, which explores the railway history of the town. 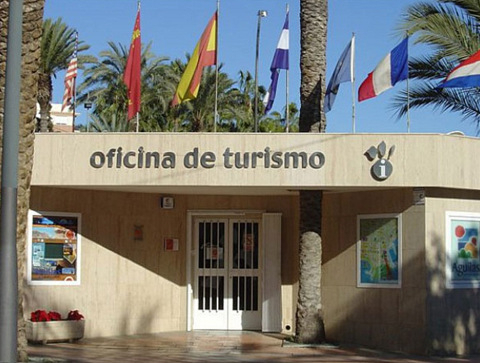 The tourist information office is located in the Plaza de Antonio Cortijos, just a short walk from the sea front and Plaza de España, a cool, shaded space in which to enjoy a coffee. Sundays and bank hollidays: 10.00 to 14.00 h.
24th and December 31st: 10.00 to 14.00 h.
Carnival Saturday: 10.00 to 14.00 and from 17.00 to 20.00 h.
Carnival Sunday: 10.00 to 14.00 h.
Carnival Monday: 10.00 to 14.00 h.
Shrove Tuesday: 10.00 to 14.00 h.
Piñata Sunday: 10.00 to 14.00 h.
Thursday and Friday: 10.00 to 14.00 h.
Monday to Friday: 09.00 to 14.00 and from 17.00 to 20.00 h.
Saturday: 10.00 to 14.00 and from 17.00 to 20.00 h.
Sundays: 10.00 to 14.00 h.
Monday to Friday: 09.30 to 14.00 and from 17.00 to 21.00 h.
Saturday: 09.30 to 14.00 and from 17.00 to 21.00 h.